Leeds-based Big Change Apps was given the award for the best company turning over up to £10m (sponsored by The Yorkshire Post) while Southerns was named best company turning over between £10m and £50m (sponsored by Grant Thornton). Elsewhere Sky Betting and Gaming were big winners with three awards, taking the prize for Best Company turning over £50m (sponsored by DLA Piper) and the Technology Award (sponsored by City Fibre), with its chief executive Richard Flint named Business Leader of the Year (sponsored by Provident Financial). The Individual Award for Excellence was presented to Trevor Hicks of the Justice for the 96 campaign. Mr Hicks, who lost both of his daughters in the Hillsborough disaster of 1989, went on to be one of the figureheads of the campaign for justice on behalf of the 96 victims of the disaster and their families. The event was hosted by BBC Breakfast presenter Steph McGovern. 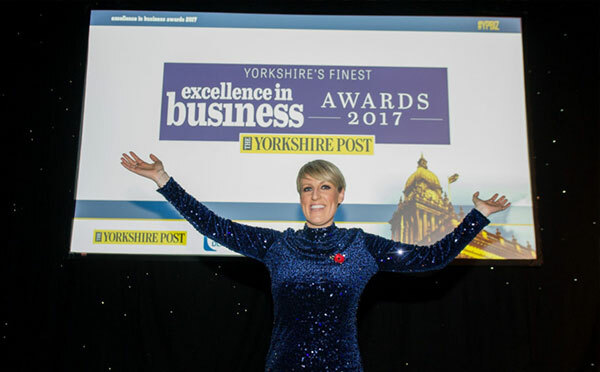 For the full list of winners and all the reaction from the big event will be featured in a special supplement to be printed in The Yorkshire Post next Tuesday.